You want to buy what’s going to be big, not what has been big. That’s precisely why this report is so urgent and the unique opportunity presented by Choom Holdings (OTCQB: CHOOF CSE: CHOO) is particularly timely. The legal marijuana industry is shaping up for a major change that’s going to open up the industry to millions of new customers and unleash major gains for well-positioned marijuana stocks. It’s already starting to happen too. Certain marijuana stocks have seen massive gains, multiplying investors money many times over in as little as a few weeks. And there’s many indications Choom Holdings (OTCQB: CHOOF CSE: CHOO) is on the path to join them. First though, you’ve got to understand the sweeping change coming to the legal marijuana industry. There are basically two types of legal marijuana. There is medicinal marijuana and recreational marijuana. The differences between these two is critical to spotting where the next leg of huge gains will be made in marijuana stocks…or, in other words, where the puck is going. The two markets are quite different in both how they operate, total size, future growth, and what investments will do best as they open up. First is the medicinal marijuana market. The medicinal marijuana market is also heavily regulated, customers have to get prescription, and be subject to patient monitoring. The recreational marijuana market is much simpler. It is as the name implies, recreational marijuana usage. When recreational marijuana is legalized it’s often regulated and sold like other regulated products such as alcohol and tobacco products. As you can imagine, the potential market for recreational marijuana is exponentially larger than medicinal use. Now, here’s the key part of understanding this critical difference between these two. The Seed Investor has largely been focused on the Canadian marijuana market. The reason for this focus is because Canada has just approved steps to legalize marijuana. It’s already a big money industry with billions of dollars raised and deployed in the hands of professionals and the Canadian government has approved Bill C-45, setting the date to fully legalize marijuana for recreational use on October 17, 2018. On top of that Canada has a population of 35 million people and it alone has the market potential of a major global economy like California. Those factors have made Canada the premier place for marijuana investors and have led to the most stable and predictable gains for marijuana investors. That’s just months away and the major marijuana companies (and investors) must move now to take advantage of this watershed moment for legal marijuana. The legalization of recreational marijuana in Canada may be the most transformative event to hit the marijuana industry since the 2016 elections launched the marijuana bull market. Because of this imminent event, the Seed Investor has identified Choom Holdings (OTCQB: CHOOF CSE: CHOO) as it’s #1 pot stock for 2018. The reason is because Choom has spotted the big opportunity in the recreational marijuana and has been working away at putting itself in ideal position to capitalize on it. You see, Choom has developed a compelling marijuana brand and is building out a distribution network. There are many different steps to this process and Choom is well down the path on all of them. 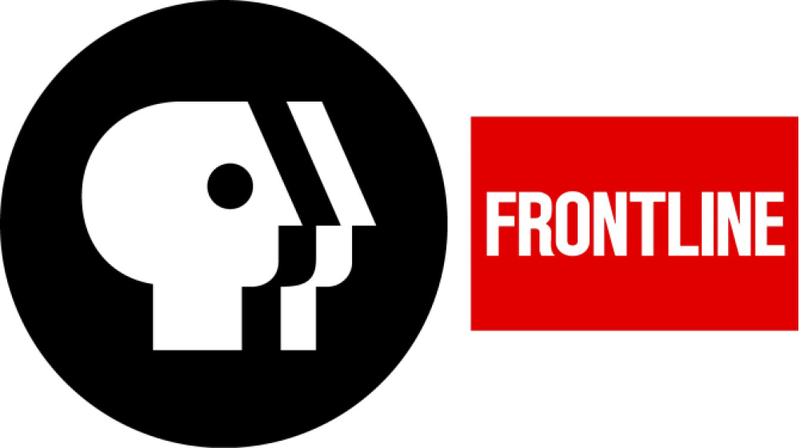 The first step is to identify and develop a product that can be branded. 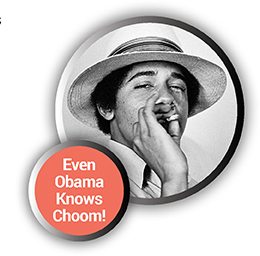 When it comes to marijuana, the word “choom” is synonymous with quality. 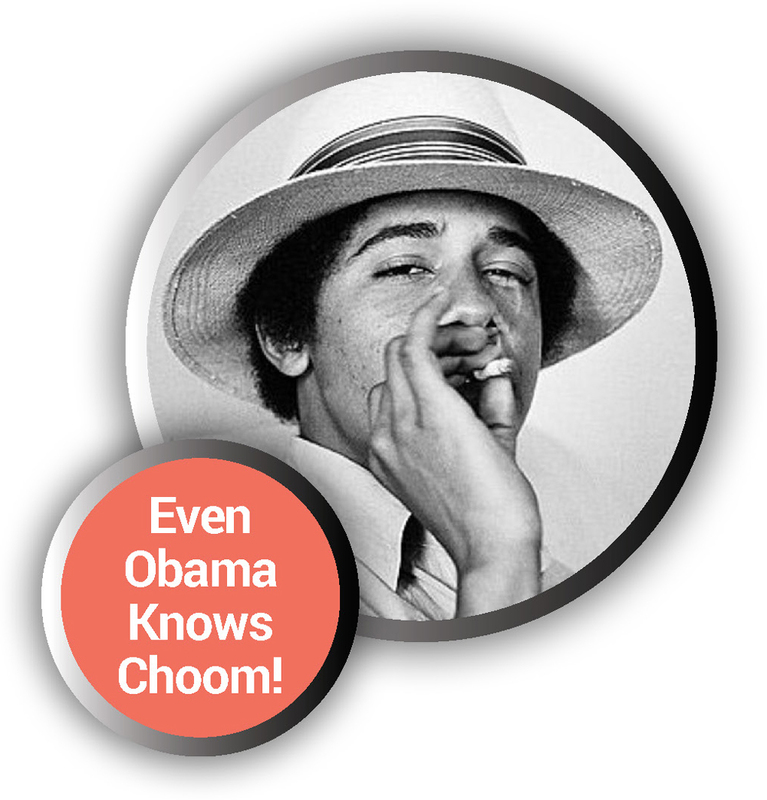 “Choom” is a Hawaiian term for marijuana. Marijuana has had a long history in Hawaii and is world-renowned as some of the world’s purest and highest quality marijuana. Even President Obama has long and well-known ties to Hawaiian marijuana. The next step is to have stores to attract and build a customer base. Choom is planning to open these stores and has already developed and approved designs for them. The Canadian Retail Marijuana market will be highly regulated and limited, and not just anyone can open a retail store. That’s way ahead of the retail game than most companies are. 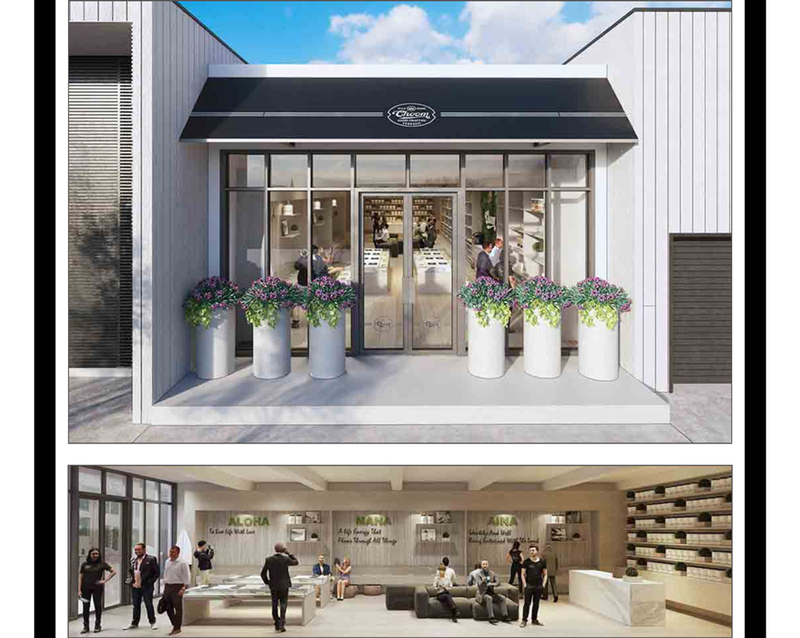 Above are artist renderings of a Choom-branded marijuana shop on the outside and the inside. These are high-end stores offering a high-end marijuana product. They’re going to be a smashing success when recreational marijuana goes fully legal in Canada in 2018. This alone would be a big enough opportunity to make Choom Holdings (OTCQB: CHOOF CSE: CHOO) a big winner in the recreational marijuana industry. But again, it’s just part of the marijuana company Choom is building. Choom Holdings has already started establishing the “Choom” brand of marijuana and targeted the opening of multiple recreational marijuana shops in Canada. But it’s also taking sweeping actions which may make it even more valuable in the long run. All of the major and top-performing marijuana stocks in 2017 were fully-licensed marijuana growers. Choom has acquired 3 ACMPR applicants with late stage licenses, and has an agreement in place to acquire 1 more for a total of 4. They expect to get their full cultivation license as early as this summer. These licenses take years to get. Again, Choom Holdings will have these not one but four of these highly lucrative licenses soon in addition to its ideal positioning as a prominent, high-end, recreational marijuana brand. This is a big deal for Choom Holdings and the timing of it all couldn’t be better. The lack of recreational use market focus is a major and growing problem for legal marijuana companies in Canada. Likewise, the situation is a major opportunity for upstarts like Choom Holdings (OTCQB: CHOOF CSE: CHOO) too. The recreational market is too big and too lucrative for marijuana companies to miss out. And branded marijuana companies are the future of the legal marijuana industry. In Colorado, where recreational marijuana has been legal for years, is seeing the biggest growth in marijuana brands. It’s easy to see marijuana’s breakneck growth where it’s been legalized. But the hard numbers show the truly booming growth is in branded marijuana products. The largest legal marijuana companies have realized this major change coming to the marijuana industry and they’re taking big steps to ensure they are in on it too. Most recently in January of 2018 Aphria Inc, one of the three largest Canadian marijuana companies, announced it was going to acquire Broken Coast Cannabis Inc. The deal would give Aphria direct access to the Vancouver Island market where Broken Coast has an established presence. It’s the perfect example of how valuable recreational marijuana brands are becoming and how desperate the major marijuana companies are to acquire them. Choom Holdings (OTCQB: CHOOF CSE: CHOO) at $0.79 a share are a fraction of the value of Broken Coast. However, Choom is on a path to build up to or might even surpass Broken Coast when the recreational marijuana market opens up. Marijuana brands are getting incredibly valuable and big marijuana companies are paying top dollar to get them. We’ve already seen this with Choom, as large, well-established medical marijuana companies have stepped up to the plate to invest in Choom’s growing recreational brand. It’s important to note, investors are profiting big by betting on companies like Choom Holdings (OTCQB: CHOOF CSE: CHOO) which are developing brands too. History has proven over and over again, that if you’re not in before the market realizes how valuable this small subsector of marijuana stocks will be, you’re going to be left out altogether. You don’t have to be left out again! The legal marijuana industry is about to go through its most significant change since the 2016 elections kicked off the current marijuana boom. The opportunities created for investors will be just as significant as the changes. The recreational use market is set to unleash a tidal wave of demand, sales, and investment in retail marijuana companies with established brands. And the few companies like Choom Holdings (OTCQB: CHOOF CSE: CHOO) are in position to take advantage of it all. Many branded marijuana companies have already run up big or have been acquired for hundreds of millions of dollars. Choom Holdings (OTCQB: CHOOF CSE: CHOO) is just at the start of its run.